January 14, 2011 - Douglas James Duchak, age 47, formerly of Colorado Springs, Colorado, was sentenced by U.S. Circuit Court Judge David M. Ebel to serve 24 months in federal prison for attempting intentionally to damage a protected computer while he was employed by a private company that held a government contract. Duchak was ordered to serve three years of supervised release following his prison sentence. In addition, Duchak was ordered to pay $60,587.07 in restitution to the Transportation Security Administration (TSA). The defendant, who appeared at the hearing on bond, was ordered to report to a Bureau of Prisons facility within 15 days of being designated at a particular federal prison. Douglas James Duchak was indicted by a federal grand jury on March 9, 2010. He pled guilty before Judge Ebel on October 19, 2010. He was sentenced on January 11, 2011. According to the stipulated facts contained in the plea agreement, TSA is responsible for safeguarding the transportation network of the United States, including surface, maritime, and aviation. One means by which TSA safeguards the nation?s transportation system is by using electronic databases containing information regarding persons who may pose a threat to our nation?s security based on information sent to TSA, and using those databases to vet persons who seek to access United States air space. TSA maintains a facility that houses computer networks and databases used for TSA?s screening mission in Colorado Springs, Colorado. Beginning in August 2004, Duchak worked at TSA?s computer center as a data analyst, employed by a government contractor. Between 2004 and August 2009, Duchak was responsible for receiving information from various federal government databases, and preparing that information to be uploaded into TSA?s vetting database. On August 12, 2009, Duchak was advised that his responsibilities were being transferred to another employee, and that he would be performing other functions in the future. Duchak then proceeded to train the new employee how to upload information from the government databases. On October 15, 2009, the contractor informed Duchak that his position was being eliminated and his employment at the TSA center would be terminated, effective October 30, 2009. On October 22, 2009, Duchak accessed a sensitive database, deleting instructional code from the program. That code was necessary to format dates of birth information received in connection with the arrest warrant database information. On October 26, 2009, Duchak?s replacement observed what he believed to be unauthorized code that would disrupt TSA?s security screening function. TSA personnel halted the computer function until they could ascertain the source and scope of the problems. On that same day, the defendant was contacted and notified that he should not return to work. Forensic examination of the electronic evidence showed that the unauthorized code was created and transmitted by Duchak on October 23, 2009, and that he thereby attempted to intentionally cause damage to TSA?s vetting databases. The defendant caused loss aggregating at least $5,000 or more during a one-year period, and if completed, would have caused damage affecting a computer used by the United States government in furtherance of national security. TSA incurred costs in responding to the offense, conducting damage assessments, and restoring the TSA filed for their screening functions. ?The TSA databases are critical to protecting the traveling public,? said U.S. Attorney John Walsh. ?Thanks to the hard work of TSA and the FBI, a man was stopped from attempting to corrupt these databases.? ?Due to effective security protections, TSA was able to detect and disrupt this attempt to corrupt a system designed to protect the traveling public,? 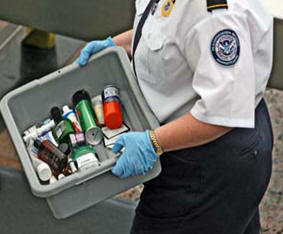 TSA Assistant Administrator for the Office of Inspection Dave Holmes said. ?After bringing this matter to the attention of our law enforcement partners, we used every resource available to contribute to the investigation, and we are grateful to the U.S. Attorney for providing justice in prosecuting this case.? ?The collaborative effort of the FBI and Department of Homeland Security is indicative of the ongoing working relationship between federal investigative agencies in order to combat all manners of federal violations,? said FBI Special Agent in Charge James Davis. ?This investigation highlights the leveraging of federal law enforcement resources to protect the public from those who might be inclined to potentially place U.S. citizens in harm?s way.? This case was investigated by the Transportation Security Administration (TSA) Office of Inspection, the Department of Homeland Security (DHS) Office of the Inspector General, and the Federal Bureau of Investigation (FBI).